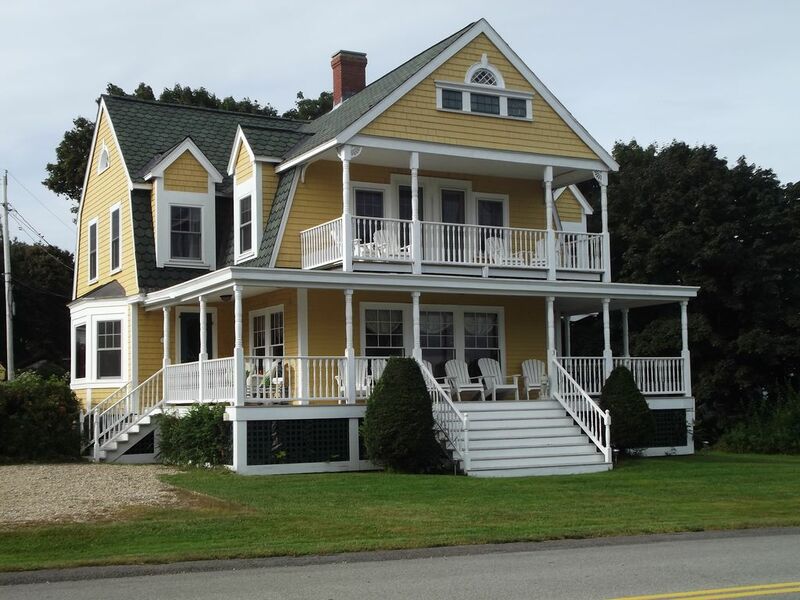 Large Victorian Home that sleeps 10 in the heart of the action in the York Beach Area. ¼ mile walk to Short Sands Beach, ¾ mile walk to Long Sands Beach and the Nubble Light House. Restaurants, Shops, Arcades, and Entertainment all just a short walk away. Several golf courses within 10 - 15 minute drive. Large open concept main level with fully equipped kitchen with granite countertops, cherry cabinets, double oven and wine refrigerator. Family room with a large plasma TV with extended basic cable, WiFi and full stereo system. Piano parlor/living room with grand piano and other musical instruments for you to make music with your family and friends. Dining Room with turn of the century cypress wainscoting. Two stairways lead to the 4 bedrooms upstairs with glimpses of the ocean from all rooms. Two of the bedrooms have sitting areas and two have a balcony with some ocean views. All rooms are uniquely decorated with a mixture of antiques, modern furnishings and local art. More info: House has a large side lawn with plenty of space for yard games. Back deck has an 8 person hot tub, dining table and a large gas grill. Large front farmers porch is great for sitting and watching the sights of the beach area. Parking for 4 cars. Washer and Dryer and spare full size refrigerator in basement. There is also a cute cabin on the property that sleeps 4 – 6 people that can be rented along with the house. See listing # 394899. This large comfortable home is perfect for your beach vacation with family or friends. Upper deck with access from front bedrooms. All you need to supply is Linens, Food, Family and Fun!